TLDR: Dollar-denominated Series A rounds dipped in Q2. Regardless, Series A rounds remain strong on a historical basis. Raising a Series A round of capital is an important milestone for a startup. It’s often the first time a startup interacts with professional investors or undergoes rigorous due diligence. Nearly a year ago, Mattermark CEO Danielle Morrill examined the then-current state of the Series A funding landscape. A lot has changed since then. Let’s take another look. Total Series A funding declined in the second quarter of this year when compared to the first; Total dollar volume declined almost 16 percent, and the number of Series A deals fell by almost 11 percent. Over the past three quarters, the mean Series A round size has declined by almost 11% from its third quarter 2015 peak. All these declines are relative. It’s important to remember that startup funding has experienced a bull cycle over the past few years. It’s impossible to say whether the second quarter’s Series A declines are the beginning of a long term downtrend or a short term correction as the market adjusts to macroeconomic uncertainties. Why do we care? The market for early stage startup equity can act as a barometer for the broader market of private investors. A pullback in Series A investment may signal a decrease in investors’ risk appetite. That could be good news for the current batch of companies with $1+ billion valuations—their equity is comparatively less risky. However, if investors deploy capital into fewer early stage companies today, then it follows that there will be even fewer companies entering the pipeline for Series B, C, and D investment down the road. 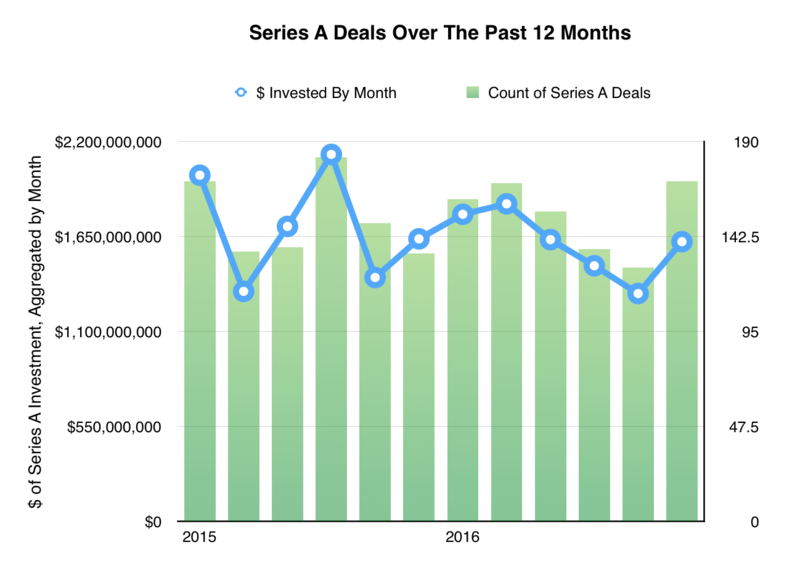 The market for Series A equity does appear to be in a bit of a holding pattern. On the one hand, a lot has changed during the last year. 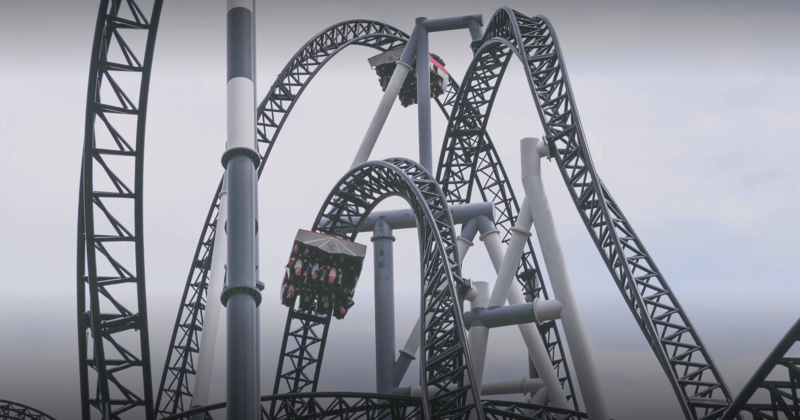 Global stock markets took a bit of a face-plant, and strife in Europe, Asia, the Middle East, and South America, there is more macroeconomic uncertainty now than in recent memory. But there is one thing that hasn’t really changed: Throughout the past twelve months, the median Series A round is basically the same size as it was last year. And there hasn’t been a meaningful change in the median Series A round size since the beginning of 2014. 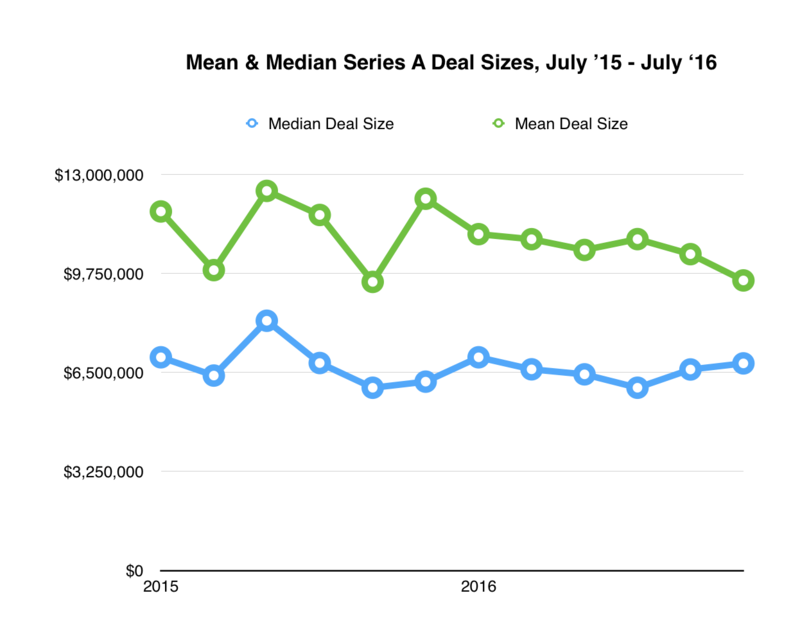 The number of deals may have gone down and there may be fewer outsized A rounds to bump up the average, but the middle-of-the-road round size hasn’t changed. Since stability is preferable to instability, I’d say that’s a good sign. There is a compelling case to be made that the pullback in Series A investment over the last year is related to broader market uncertainty. The private technology sector and its investors are partially insulated from the rest of the economy, but in this case, the waters in one end of the pool have gotten choppy enough to spill over a bit. It’s important to remember that correlation doesn’t equal causation. There are a number of factors besides stock market volatility—ranging from interest rates, the health of the tech IPO market, and even the time of year— that influence venture capitalists’ investing behavior. Furthermore, there were a number of trends within the VC industry that have affected Series A investment in the years leading up to the Greece/China/Oil/Brexit crisis of today. Part of the reason why median round sizes increased so much leading up to 2014, for example, is the explosion in seed-stage investment that has pushed Series A raises back in the startup lifecycle. At least for now, seed investment continues to be plentiful, so that will continue to support large median round sizes. For now, Series A rounds are down in the most recent quarter, but not far enough from their record highs to be troubling. If the downward trends continues, however, then there will be something to worry about. The sky is not falling, at least not yet. I revisited Morrill’s analysis by parsing through almost 8,600 Series A deals made between January 1, 2007 and June 30, 2016. I filtered Mattermark’s deal data only by currency, so only those deals denominated in US dollars are shown. The overwhelming majority of the deals I analyzed were made in companies based in the USA, but there are some deals from other countries in the mix. To be clear: This analysis assesses the state of the broader market for Series A investment. Although the data in this analysis heavily biases the US, the conclusions I come to are not exclusively about American startup investors. It’s a picture of the overall market for USD-denominated deals both in the US, but also in Europe, South and Central America, Asia, and our friendly Canadian neighbors in the north. If you want a more in-depth look into the Series A funding landscape in major international markets, you might want to check out “Around The World in Series A’s,” which I published here on the blog a few months ago.